It's time for a brand new challenge at Whimsie Doodles! Yippee!! This month our challenge theme is NAUGHTY OR NICE. Of course that means Christmas and sparkles and light - oh my! I used the Bright image for my shaker card. I am pretty sure he is on the nice list - just look at that smile!! 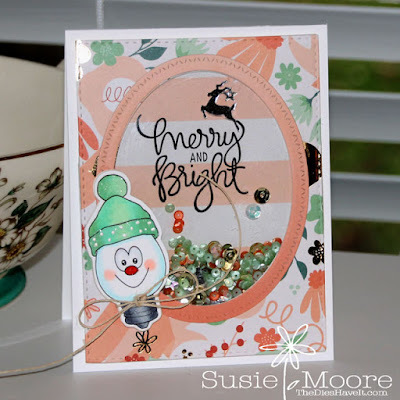 See all of the Doodlelicious Diva's projects on the Whimsie Doodle blog today and you will be inspired for sure!! Then it's YOUR turn to get creative. Click here for all the info on submitting your naughty or nice creation for this month's challenge. You have until December 13th to submit....but why not get started right away?